Member of the War Studies Departments and Senior Research Fellow for the Study of Radicalisation at King's College London. 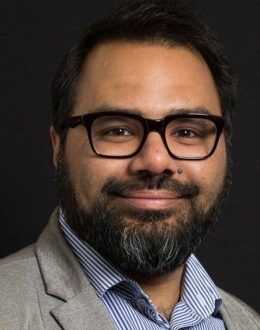 Dr. Shiraz Maher is a member of the War Studies Department at King’s College London and a Senior Research Fellow in its International Centre for the Study of Radicalisation (ICSR). He currently leads the Centre’s research on the Syrian and Iraqi conflicts and also researches the political philosophy of Salafi-Jihadi movements. Maher has given evidence before three parliamentary committees on the Syrian conflict, the flow of foreign fighters into the country, and the rise of Islamic State. He is an adjunct lecturer at Johns Hopkins University, and was a visiting lecturer at Washington College during the Spring Semester of 2012. Maher is a contributing writer for the New Statesman, frequently writing on Islamic State and the broader Middle East. He has conducted fieldwork across the world, interviewing members of the Taliban, al-Qaeda, Jabhat al-Nusrah, Ahrar al-Sham and the Free Syrian Army. Most recently, he has conducted interviews with more than 100 Western foreign fighters in Syria. In 2016 he was longlisted for the Orwell Prize in journalism for his work on matters relating to radicalisation, foreign fighter mobilisation and the terrorist threat to Europe. His book, Salafi–Jihadism: The History of an Idea, is published by Hurst (UK) and Oxford University Press (US) on 12 May.